With five major theme parks and a host of smaller parks, amusement park enthusiasts will have no trouble trying to find a venue for frolicking. 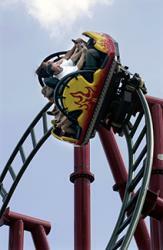 Thrill seekers can find coasters galore, while families can enjoy character-themed parks geared for the younger ones. There are five major parks in England that may rival the likes of an American Six Flags or Disney World. Spread across England from Alton to Chessington, these five parks make up the most popular theme park attractions in England. 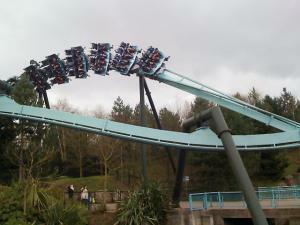 Located in Staffordshire, Alton Towers is one of England's best-known theme parks. The park features ten distinctive thrill rides, including the revolutionary dive machine Oblivion, the flying roller coaster design Air, and the inverted Nemesis. Other attractions, such as the spooky Haunted Hollow Trail, complete the park's must-see list. Guests can also visit the Caribbean-themed water park with water slides, hot tubs, a water coaster, and other splashy attractions for everyone to enjoy. Alton Towers is opening a new roller coaster in 2013 called the Smiler. Drayton Manor is big, wet and scary. Standout rides at Drayton Manor include the Apocalypse, the world's first stand-up tower drop, and Shockwave, Europe's only stand-up roller coaster. 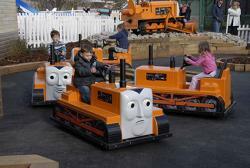 Drayton Manor doesn't just provide for older kids. 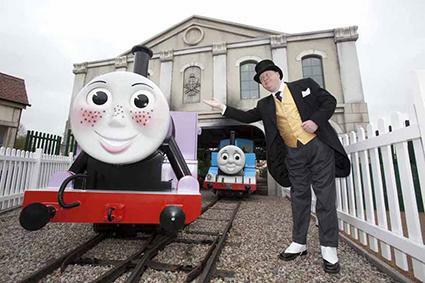 Younger children will love Thomas Land - a collection of rides based on the ever popular Thomas the Tank Engine books. 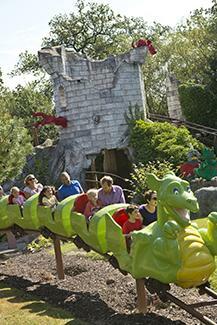 Legoland is 150 acres of rides, shows, Lego workshops and Lego-made cities and landmarks. Rides include a Dragon roller coaster and a Vikings' River Splash for older children and the Dragon's Apprentice coaster for younger children. There are also other attractions that the family will enjoy, such as the popular Laser Raiders. Armed with a laser gun, you have to shoot your way past evil mummies and skeletons, and escape a variety of traps before you reach the other side. This Surrey park features six amazing roller coasters including an enclosed coaster, family coaster, hydraulic launch coaster, and the world-renowned Colossus with its staggering 10 inversions in less than two minutes. A wide selection of family and kiddie rides offers fun for less adventurous guests, and the park's food includes hot donuts, a fresh juice bar, fish and chips, barbeque, alcoholic beverages, and other refreshments. 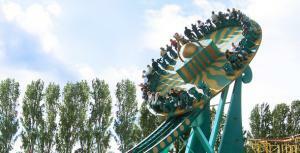 New for 2013 is a ride called the Swarm, a ride that drops you 127 feet backwards. Among the most popular and exciting rides at Chessington are The Vampire, a roller coaster which zooms through the trees, and Dragon's Fury, a ride that spins you around until, even when you are back on land, you can't stop spinning. It is much easier to find your way around Chessington than most parks because it is split into three sections: a zoo section, a sealife section and a family theme park section. Adventure Island in Essex has a range of thrilling attractions including Rage, a steel roller coaster with a 97-degree initial descent that leads to three topsy-turvy inversions. An assortment of spinning rides, additional coasters, a floorless free fall tower, dark rides, and kiddie areas are only some of Adventure Island's other attractions. The park's sister attraction, the adjacent Sea-Life Adventure Aquarium, features more than 40 aquatic displays and a children's play area, making it a perfect complement to this theme park. Flamingo Land Theme Park is one of the most unique theme parks in England. Located in Yorkshire, Flamingo Land features seven roller coasters ranging from children's coasters to massive scream machines, as well as drop towers, car tracks, and other classic rides. However, it's the park's animals that are the star attractions. The park features lions, hippopotamuses, lemurs, tigers, kangaroos, penguins, tortoises, and other creatures from around the globe. Sea lion and bird shows offer great entertainment for the whole family. 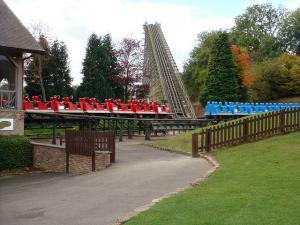 Lightwater Valley in Yorkshire offers more than 40 attractions for the whole family, including the steel-terrain coaster Ultimate, as well as a thrilling drop tower, vintage cars, swings, and spinning rides. The Lightwater Resort area also includes Lightwater Valley Falconry an extensive birds of prey centre with more than 50 species of raptors, falcons, and owls. The nearby 30,000-square-foot Lightwater Shopping Village makes this theme park a great destination. Lightwater Valley Falconry is included in the price of the ticket as part of a campaign to bring awareness to birds of prey. 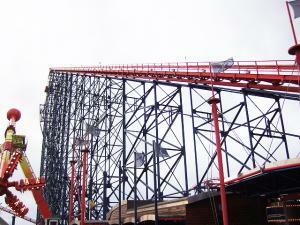 Blackpool Pleasure Beach in Lancashire is one of the country's most beloved theme parks. It offers dozens of attractions, including a selection of more than ten roller coasters, such as the Pepsi Max Big One that soars to 213 feet in the air and reaches speeds greater than 70 mph. The inverted Infusion and bobsled Avalanche are other popular coasters and part of the park's more than 125 rides, shows, and attractions. A 4D cinema, ice skating rink, interactive haunted house, arcade, and other attractions offer something for everyone. As of 2013, they are opening a new family ride called the Wallace and Gromit Thrill-O-Matic. Like Blackpool Pleasure Beach, Pleasure Beach Great Yarmouth has a long history, and one of the park's main attractions is a roller coaster that first opened in 1932. There is no fee to enter the park, something that helped draw more than one million visitors in 2012. 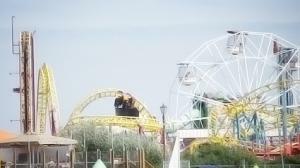 Many features have been added to this seafront theme park over the years. Attractions like 4D cinemas, roller coasters, spinning rides, drop towers and more make Pleasure Beach Great Yarmouth worth the trip. The British pound is the appropriate unit of currency. English is the national language, but pronunciations and vocabulary can differ substantially from American English. Park operating hours and seasonal calendars vary; check parks' official websites for updated information. England's weather can be unpredictable; guests should be prepared for periods of cold or rain. International travel requires passports and other appropriate documentation; speak with a travel agent about arranging a getaway to England. 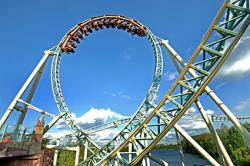 There are many great theme parks in England for travelers to enjoy. From indoor water parks to family attractions to scream-filled thrill parks, there is something for everyone seeking a getaway in England.